One of the great parts of Catalyst is getting to work with great people. And also meeting great people who are doing great things all over the world, and then being able to share their story with the Catalyst community. 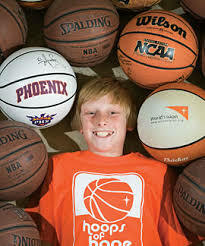 One of those great stories from this year is Austin Gutwein, a 14 year old from Phoenix, Arizona. 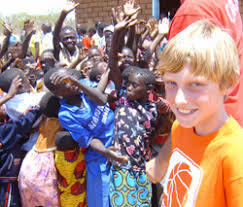 Five years ago, as a 9 year old, Austin was confronted with the reality of orphaned kids in Africa, and decided to do something about it. He launched Hoops of Hope, a non profit that raises awareness and funds by challenging kids all over the world to shoot free throws and raise money for kids in Africa, specifically in Zambia. Austin is an incredible kid. He and his dad Dan were here with us for three days for Catalyst, and it was an absolute pleasure to be around them and hear more of their story. I am glad to count them as friends and look forward to helping grow the impact of Hoops of Hope. When I was 14, and I think I speak for all of us, I was not even remotely concerned with things going on outside of my own little world, much less anything happening globally. Austin has a desire and a passion for impacting people. He impacted each of us at Catalyst. Moreover, he wants to impact the entire country of Zambia and the entire continent of Africa. Thanks Austin, for being willing to step out and make a difference! Glad to count you as a friend!